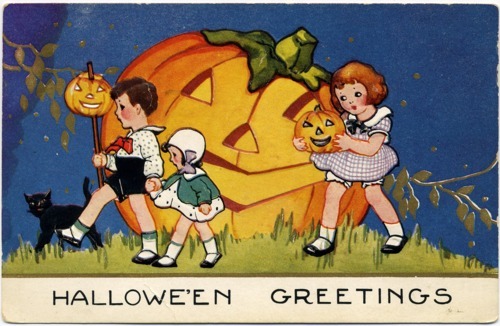 Embossed Hallowe'en postcard depicting children walking in front of a large jack-o'-lantern. Elaborate color postcards were popular during the early 20th century. This example was produced by Whitney of Worcester, Massachusetts.